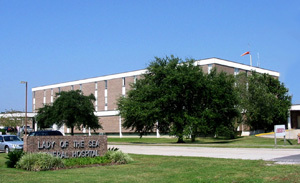 Under the direction of the Revenue Cycle Director and/or the Patient Access Supervisor, the Patient Access Representative is responsible for collecting all current demographic and financial information on all patients who present for services at Lady of the Sea General Hospital in a timely manner. He/she is responsible for the collection of co-pays, deductibles, and co-insurance amounts from patients who are admitted and discharged from the hospital, as appropriate, perform duties as cashier and switchboard operator, and pleasantly assist and direct people entering the facility. Must possess excellent communication and interpersonal skills to communicate with patients, staff, families, all levels of the organization, and the community. High-level knowledge in computer skills. Must demonstrate a helpful attitude and positive image of Lady of the Sea General Hospital. Must be able to respond rapidly and accurately in a request for emergency paging and other similar situations. Must possess ability to keep accurate records. Minimum of high school diploma or equivalent with customer service experience. Certification in Patient Access preferred. Employee will be lifting and carrying up to 20 pounds approximately 15% of the day. Employee will be sitting approximately 37% of the day. Employee will be standing and walking approximately 12% of the day. Employee will be pushing and pulling approximately 12% of the day. Employee will be twisting, climbing, kneeling, stooping, and bending approximately 12% of the day. Employee will be reaching at or above shoulder level approximately 12% of the day.